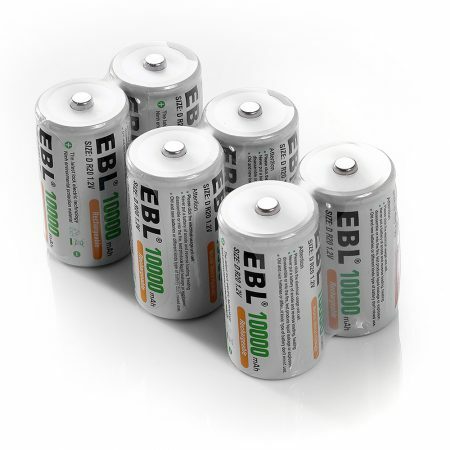 These 4-pack EBL rechargeable C batteries are high quality Ni-MH battery cells. Rated at 5000mAh high capacity, the batteries provide powerful battery energy for your high drain devices. 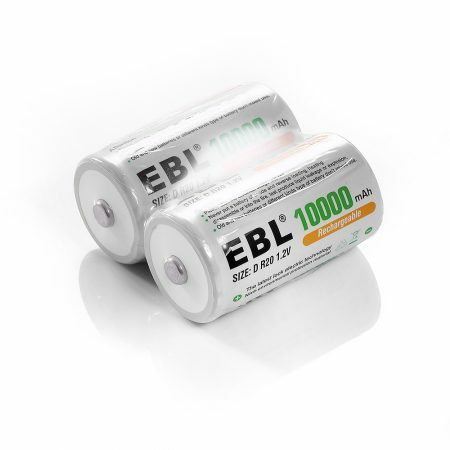 These type C rechargeable batteries are best backup batteries for your household and office. 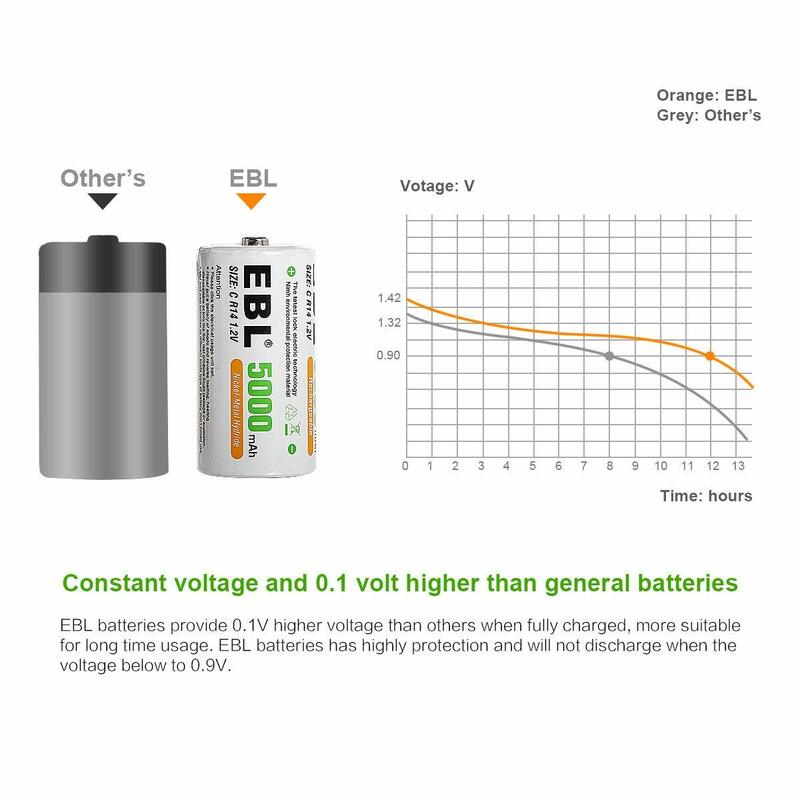 You can enjoy safe and easy recharging without memory effect. 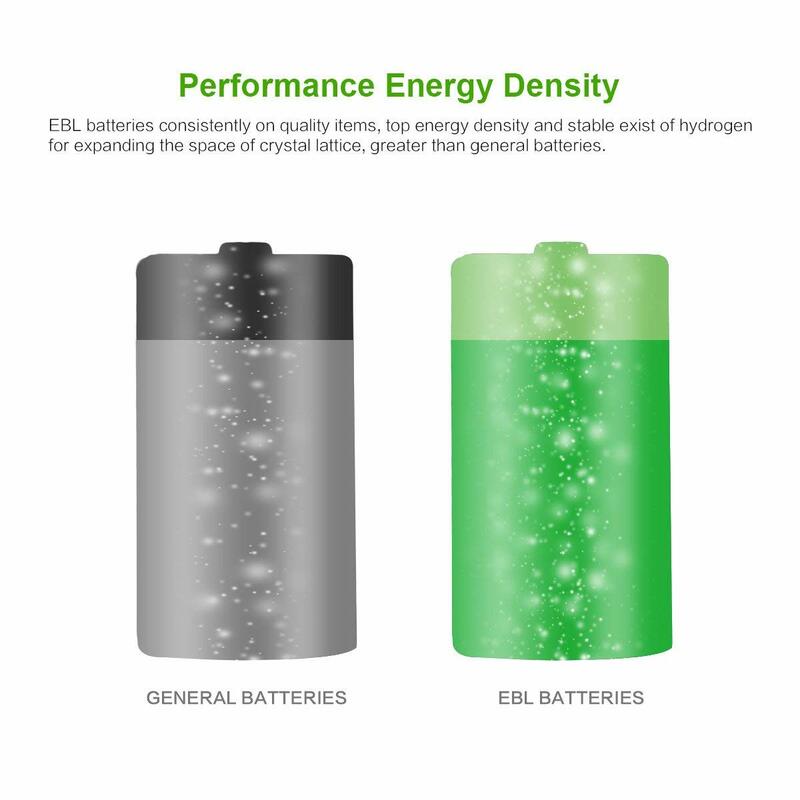 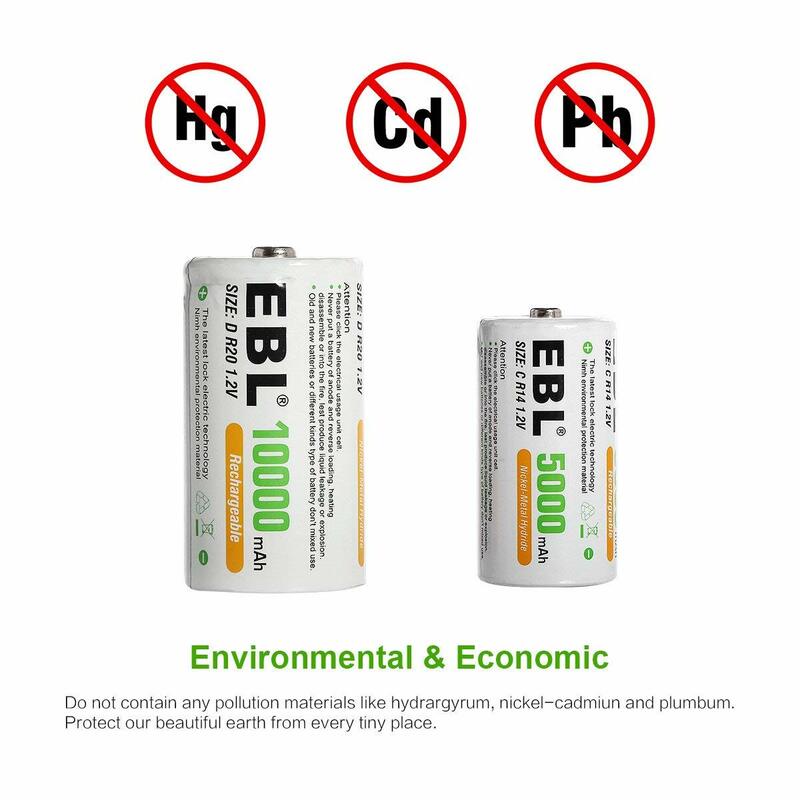 These environmentally friendly rechargeable batteries contain no cadmium, mercury or lead. 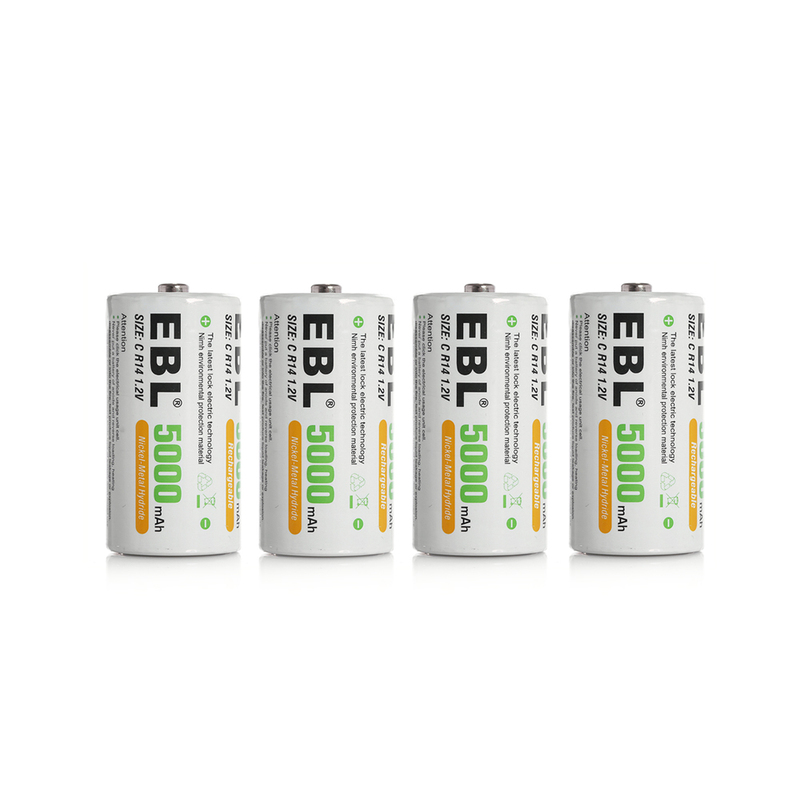 4 Pack Rechargeable C cell batteries. 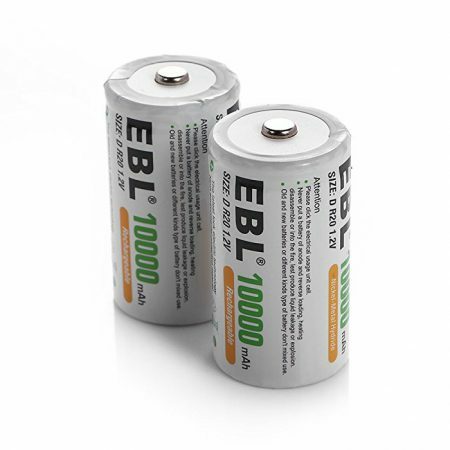 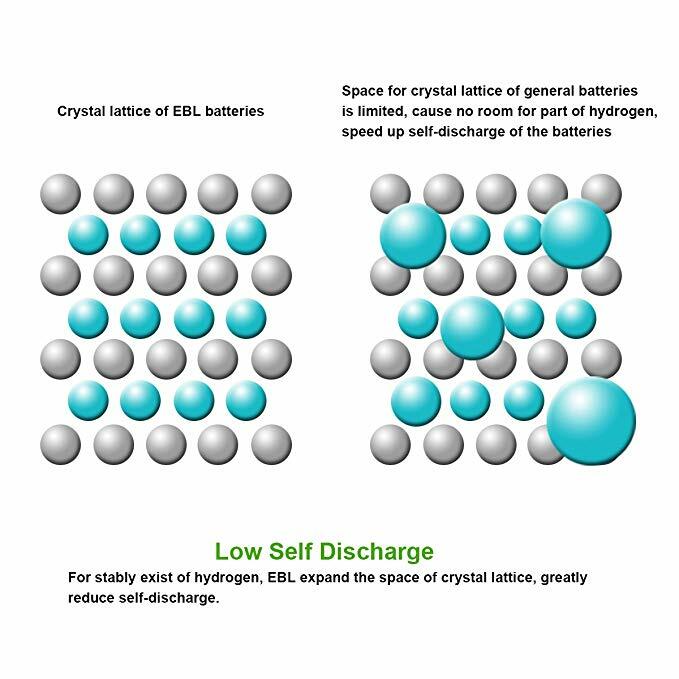 These rechargeable C batteries fully meet the standards of safe C cells. 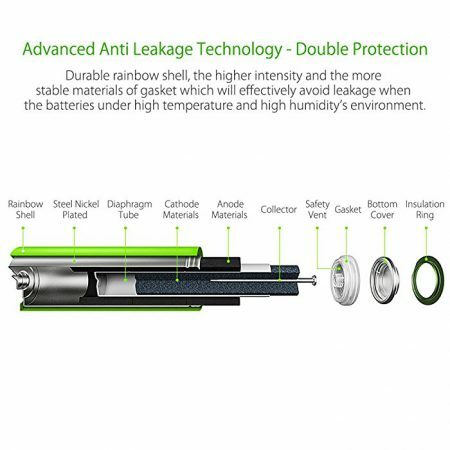 They are approved by CE and ROHS for the specification and reliable quality. 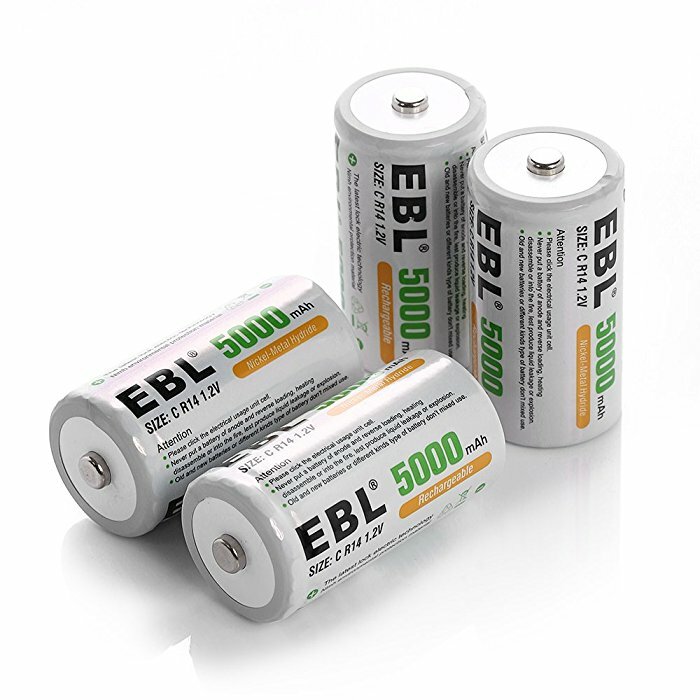 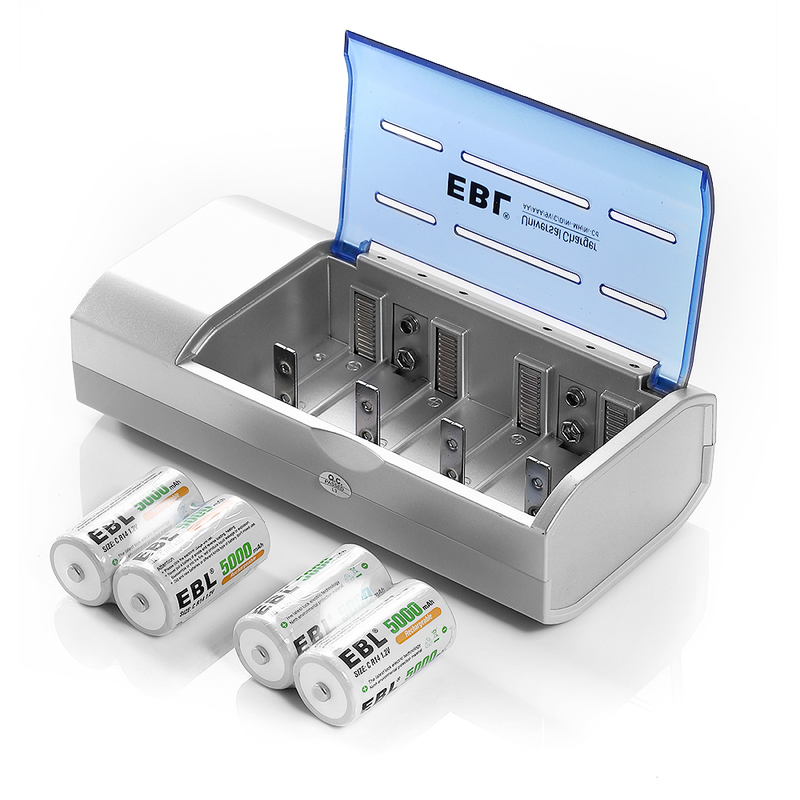 These EBL rechargeable Ni-MH C batteries can be widely used for quite a lot of devices at home, in office and workshop. 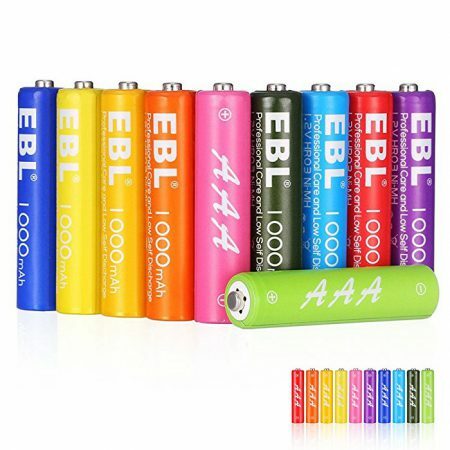 You can use them for audio and video devices, radio, emergency light, flashlight, LED light, torch, emergency location transmitters, electronic toys, speakers, fans, pumps and massage devices, etc. 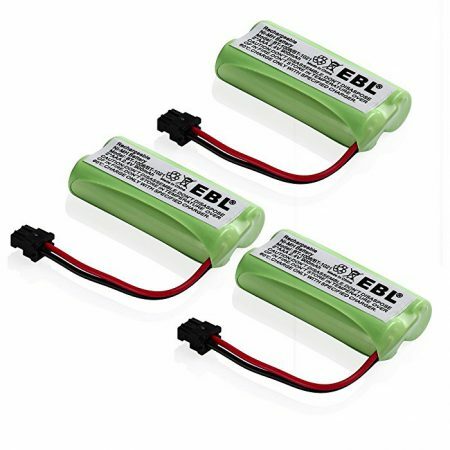 1) Do not use new batteries with used batteries together. 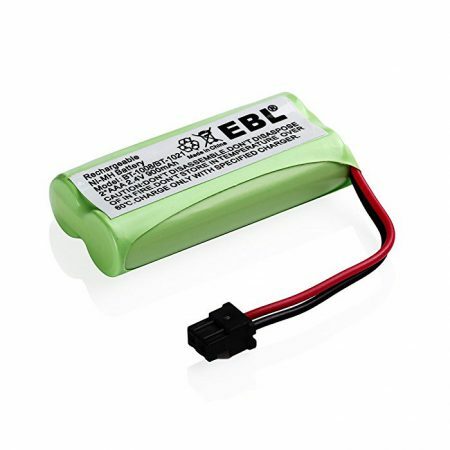 2) Do not insert batteries with reversed polarity. 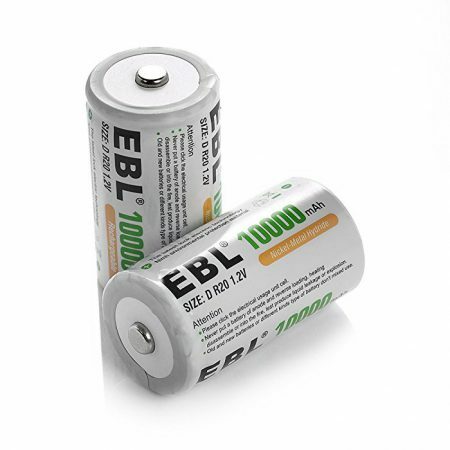 3) Keep the batteries away from water, fire and sources of heat. 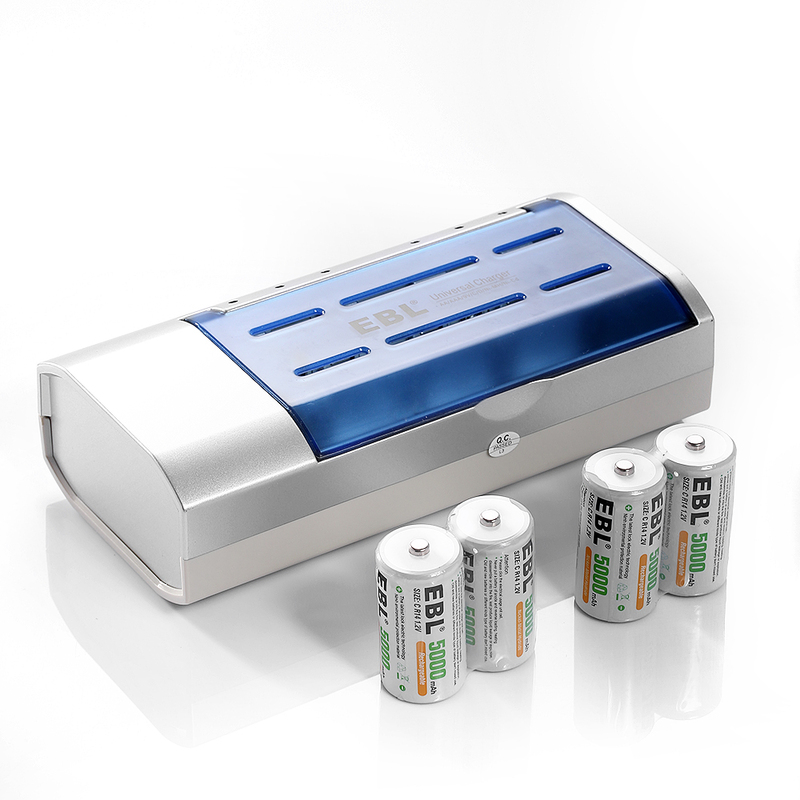 4) Store the batteries in a cool, dry place. 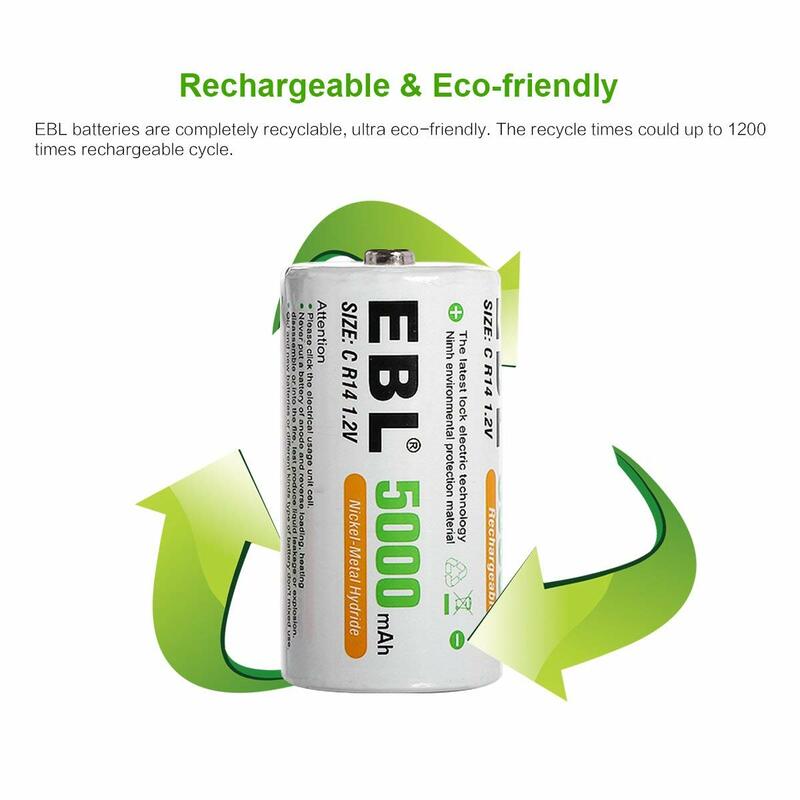 5) Stop charging or using the batteries if they give off odor, get too hot or deformed.